Next Article How to Cancel a Credit Card, and Is It Bad for Your Credit Score? Hong Kong is a bustling city. With a gargantuan business economy, great culture, and an unmatched international atmosphere, Hong Kong is, unsurprisingly, at the top of the priority list for many world travelers. Though very small geographically (measuring a modest 1,063 square miles), Hong Kong is an economic powerhouse. A tourist hotbed, foodie heaven, and luxury travel oasis, Hong Kong is also extremely accessible thanks to a massive inflow and outflow of business travelers. There are many airlines and routes you can take to fly to Hong Kong, primarily utilizing the Star Alliance and Oneworld alliance. 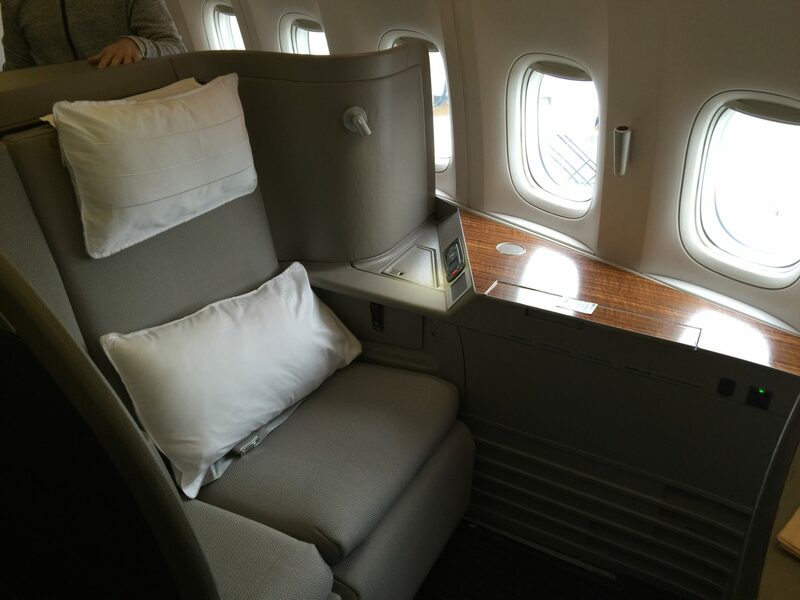 In this post, I’ll cover the best programs to use for all cabin classes, including economy and business class across a healthy variety of airline carriers. I’ll also share a few sweet spots to fly business and first class from North America to Hong Kong. This guide will be comprehensive, diving into all the programs for flying to Hong Kong. The first programs we will look into are the most attractive, and the later programs will offer some alternatives to those. Since Hong Kong is one of the world’s leading international financial centers/hubs, it enjoys a huge mix of airlines that do business in the territory. Consequently, there are many options you can take when booking with points and miles. As we jump into each redemption, it’s important to note that booking premium cabin award space will require you to plan ahead. There are some exceptions (particularly with Cathay Pacific First Class close-in award bookings), but the general rule of thumb is to plan as far in advance as possible. When you read through each option, remember that the key to award travel is flexibility in both the points you earn as well as the dates you are looking to travel. We’re going to be focusing on the Star Alliance and Oneworld alliance carriers, but this is only because SkyTeam’s nonstop routes into Hong Kong (not Mainland China) are very limited. 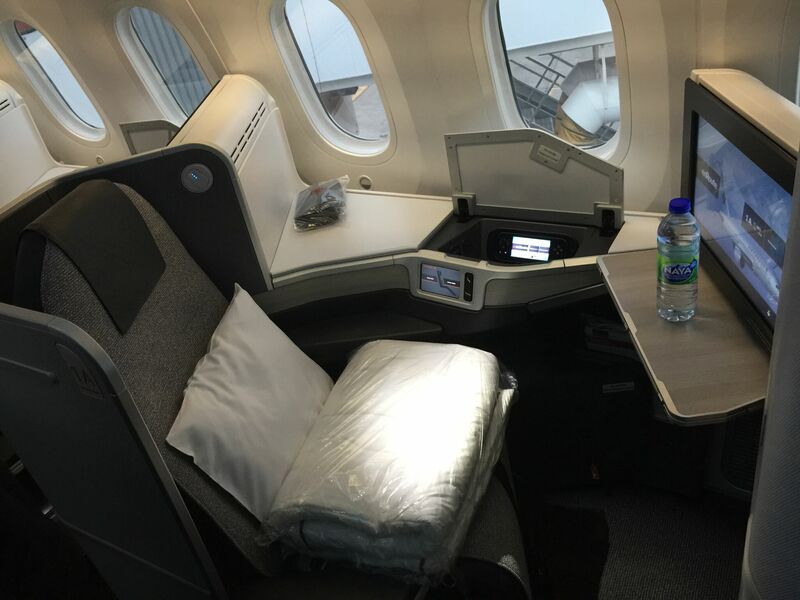 Use 95,000 ANA miles to book Air Canada Business Class to Hong Kong. Image courtesy of shutterstock.com. Ah, ANA…All Nippon Airways (ANA) is at the top of the list for several reasons, but mainly due to one word: value. ANA offers some of the best round-trip redemptions in the business. Keep in mind that ANA only allows round-trip bookings, so one-ways are not an option here. However, this magnificent program offers great redemptions on Star Alliance flights, particularly for economy and business class flights to Asia and Europe (but that’s for another day). Because ANA does not offer nonstop flights from North America to Hong Kong, our best bet will be to utilize their partners. The partners offering nonstop flights from North America to Hong Kong are Air Canada, Singapore Airlines, and United Airlines. Hot Tip: ANA offers 1 free stopover AND 1 open-jaw, OR 2 open-jaws on round-trip award bookings. If Hong Kong was not your final destination, you could work in any number of routes using this routing rule. Keep in mind, however, that Singapore Airlines does not allow premium cabin partner award bookings. So if you want to fly on Singapore Airlines’ sole route from San Francisco to Hong Kong on their B77W, you’ll need to use the Singapore Airlines Krisflyer Program at the bottom of the article. The program’s award chart uses 10 zones, with North America in Zone 6 and Hong Kong in Zone 3. Award space for ANA flights from the U.S. to Japan can be found on ANA’s website. When flying Star Alliance partner United Airlines to Japan, search for award space on United’s website and then confirm availability on ANA’s website. Here are the round-trip redemption rates and an estimate of the taxes and fees for nonstop Air Canada and United flights from North America to Hong Kong. Bottom Line: I would personally lean toward flying Air Canada out of Vancouver or Toronto, since their product is superior to United’s non-Polaris business class, but that’s just a personal preference. I would rather snag a cheap positioning flight and enjoy a better business class product than fly from a nearby United airport. Need help booking this award? Here’s our step-by-step guide to booking business class award tickets on ANA. Utilizing the ANA award program is made easier by the fact that ANA partners with Amex Membership Rewards. Amex points transfer to ANA at a 1:1 ratio. Amex has a number of personal and business cards to choose from that earn Membership Rewards points, making it easy to accumulate the necessary points. If you regularly stay at Marriott hotels, then you may also find transfer value with their hotel points. Book Cathay Pacific’s first class round-trip to Hong Kong for only 140,000 Alaska miles! Image courtesy of Alex Miller. Alaska Airlines offers some incredible value on awards flying Emirates, Cathay Pacific, Japan Airlines, Qantas, etc. Known as the flag carrier of Hong Kong, Cathay Pacific is frequented by many aspirational travelers. American Airlines is closely tied to Hong Kong, offering daily nonstop flights from 2 of its hubs, Los Angeles (LAX) and Dallas-Fort Worth. Known for massage chairs, flawless service, Krug champagne, and amazingly comfortable bedding, Cathay Pacific is definitely at the top of the bucket list when it comes to trying first and business class. Though first class availability is difficult to book far in advance, economy and business award space is very abundant, sometimes resulting in 5-7 business class seats per flight! The biggest, most outsized value that you’ll get from Cathay Pacific is through Alaska Airlines. Here are the round-trip redemption rates and an estimate of the taxes and fees for nonstop Cathay Pacific flights from the U.S. to Hong Kong. Cathay Pacific offers the most flexibility in terms of origin airports; the below chart shows which airports offer direct, nonstop flights to Hong Kong. As you can see, Cathay Pacific’s footprint is very large, mostly because their hub is in Hong Kong. You can also see that Alaska Airlines offers extremely competitive redemption rates. In fact, these rates are the lowest you will find for flying in Cathay Pacific premium cabins to Hong Kong. If you’re set on flying Cathay Pacific to Hong Kong, Alaska Airlines provides a great way to do it. Otherwise, here are the best ways to fly on Cathay Pacific Airlines. Note that American Airlines only flies to Los Angeles (LAX) or Dallas-Fort Worth (DFW). Booking with Alaska Airlines requires a phone call. Hot Tip: Remember, Alaska Airlines’ award tickets allow stopovers on one-way tickets, but you can only fly 1 partner per itinerary. This limits you to stopovers in Hong Kong when flying Cathay Pacific. Use this to construct value-added trips! Need help booking? See our step-by-step guide for booking Cathay Pacific first class. 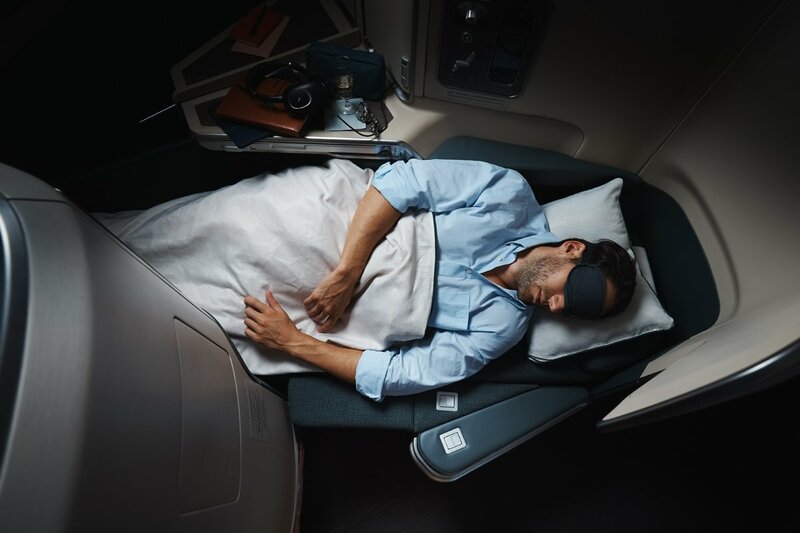 If first class isn’t your cup of tea but you still want a lie-flat bed and awesome service, check out our guide for booking Cathay Pacific business class. Alaska miles can be earned by signing up for their co-branded credit cards offered by Bank of America, but the main drawback is the limited transfer partners. You could also transfer hotel points from Marriott. However, you can also purchase Alaska miles if you have a specific redemption in mind. Though you’re limited to 60,000 miles per transaction, you can buy as many miles as you want. Alaska Airlines often offers discounts of up to 40% on purchased miles, so do look to buy miles at those times. Bottom Line: Alaska Airlines offers the best redemption rates on Cathay Pacific from North America to Hong Kong. Redemptions of 100,000 and 140,000 miles for round-trip business and first class in a world-class premium cabin product make it extremely difficult to beat Alaska Airlines! Book Cathay Pacific business class from Los Angeles to Hong Kong for only 120,000 Asia Miles and ~$247 in taxes and fees! Image courtesy of CathayPacific.com. Cathay Pacific is an enigma; on one hand, they fly some of the best products in the sky. On the other hand, they have a crazily confusing award chart. This can completely overwhelm people, but luckily we’ve got your back! Cathay Pacific has a distance-based award chart, which means the cost of a redemption is closely tied to the actual distance flown on another particular award flight. Oddly enough, the best place to book Cathay Pacific flights is not using Cathay Pacific Asia Miles. Why is that? Well, the redemption rates were devalued on June 22, 2018, particularly for business and first class travel. Still, Cathay Pacific is an option. The main advantage of Cathay Pacific is that you will be able to utilize their confusing (but incredibly powerful) routing rules. For a one-way flight, up to 2 segments are allowed, with 1 stopover or 1 transfer. If the first segment origin airport and the final segment destination airport are located in different cities, but all segments are within the same country or region, this itinerary is treated as a one-way flight. If the first segment origin airport and the final segment destination airport are located in different cities but within the same country or region, and the first segment destination airport is located in a different country or region, this itinerary is not treated as one-way flight (i.e. JFK-DFW-LAX is a one-way flight while JFK-LHR-IAD is not a one-way flight). For a round-trip flight, up to 4 segments are allowed with a minimum of 1 stopover. You are also allowed up to 2 segments on the inbound and outbound itinerary. For a round-trip flight, 1 open jaw is allowed either at the point of origin or the destination in a round-trip flight. For itineraries with only international flights, an open jaw at the point of origin can only be made between different cities of a country or region. For itineraries without international flights, an open jaw at the turnaround point can be made between different cities in the same country or region. Traveling into and out of different airports within the same city is not considered an open jaw. When you’re using the Oneworld Partner Award chart, the previously stated rules do not apply. Since American Airlines only flies from Los Angeles (LAX) and Dallas-Fort Worth (DFW) to Hong Kong (HKG), let’s quickly examine the Asia Miles redemption costs on American Airlines flights. Let’s compare this to Cathay Pacific’s own flights. Asia Miles redemption prices on Cathay Pacific (each way). Image courtesy of CathayPacific.com. You can search for award space on the Cathay Pacific website, which is where you’ll also book the ticket. Hot Tip: Asia Miles has the distinct advantage of receiving access to award space about 12 months prior to departure. Additionally, Asia Miles has access to more award space, making it much easier to book through this program. We recommend using the Qantas or British Airways website to find award availability first, then use the Cathay Pacific search engine to confirm the availability that you found on the other websites. One of the biggest advantages of Cathay Pacific Asia Miles is its abundant transfer partners, which means that earning Asia Miles is not difficult. Unlike Alaska Mileage Plan (which only has a single transfer partner), Cathay Pacific partners with American Express Membership Rewards and Citi ThankYou Rewards. Cathay Pacific Asia Miles can be earned by signing up for their co-branded credit cards offered by Synchrony Bank. Bottom Line:If you’re thinking about utilizing Cathay Pacific’s Asia Miles, doing it for additional award availability, leveraging award routing rules, or using the ability to earn through multiple credit cards would be great reasons to do so. On the other hand, the award redemption rates are uncompetitive, so it’ll cost you more miles. For the same price as business, use 110,000 Etihad Guest Miles to book American Airlines First Class on their flagship 777-300ER! Image courtesy of aa.com. 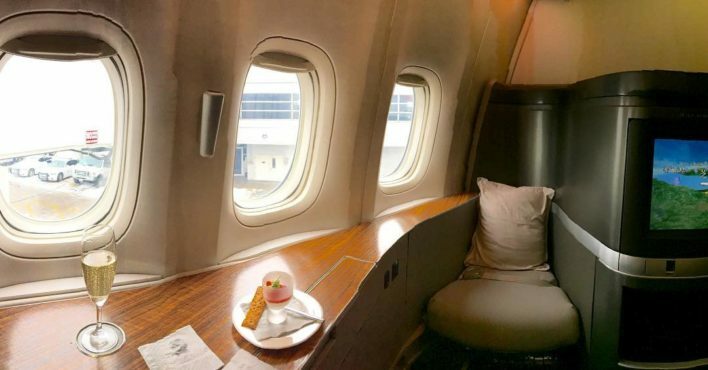 Etihad, known for their extravagant First Class Apartments and out-of-this-world Residences, actually has one of the best ways to fly to Hong Kong. Etihad’s sole partner that flies nonstop to Hong Kong is American Airlines. This is great news, because although Cathay Pacific’s premium cabin products are superior to American Airlines’, their Flagship Business class is still an excellent and solid way to get to Hong Kong. To reiterate, American Airlines offers daily nonstop flights to Hong Kong from 2 of its hubs: Los Angeles (LAX) and Dallas-Fort Worth (DFW). Hot Tip: Basically, the only time you would want to fly American Airlines when Cathay Pacific is flying the same route is when you can’t book Cathay Pacific OR if the same Cathay Pacific route is way more expensive than American’s. This is one of those situations. To be honest, American Airlines’ first class product is not much different than its business class product, especially on its Hong Kong routes. Note that flying American Airlines first class costs the exact same as flying in business class! There is tremendous value to be had here! Etihad Guest, without a doubt, presents the absolute best way to fly to Hong Kong on American Airlines. For the sake of exploring other frequent flyer programs, here are some other great ways to fly on American Airlines. Availability for American Airlines can be hard to find, but with the right amount of time, you can get extremely affordable miles on points. Hot Tip: This is the best way to book American Airlines business class. It’s extremely easy to earn Etihad Guest Miles, which is why this is such a sweet spot. The only other program that offers AA flights more cheaply is Japan Airlines (JAL) Mileage Bank, but they are only transfer partners with Marriott, as we’ll see later in the JAL section. Need help booking? 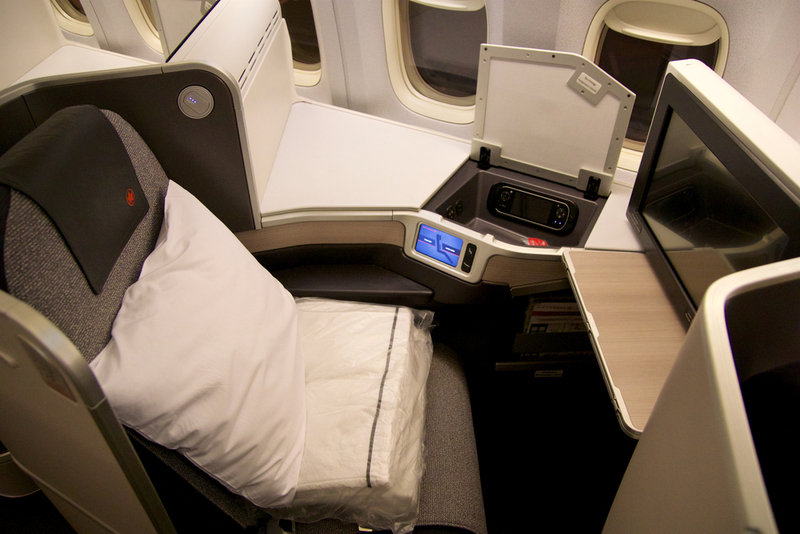 See our step-by-step guide for booking American Airlines business class. The process for booking American Airlines first class is pretty much the same as business class, but the award availability will be more sparse. You can actually earn Etihad Guest miles without ever setting foot on their planes. Etihad is transfer partners with American Express Membership Rewards and Citi ThankYou Rewards. Amex Membership Rewards points transfer and convert to Etihad Guest miles at a 1:1 ratio. There are sometimes bonuses that American Express runs when transferring to Etihad, so keep an eye out for those (that’s just gravy)! The only times this has been done were for 1-month periods in May 2016 and October 2016 with a 30% and 20% transfer bonus, respectively. If you pulled the trigger on a 30% transfer bonus, this meant that for 1,000 Amex points, you got 1,300 Etihad Guest Miles. Although I wouldn’t count on it happening, a transfer bonus would soften the blow dramatically, bringing down the cost of a round-trip, first class American Airlines ticket to ~85,000 American Express Membership Rewards Points! This spectacular booking retails for ~$16,000 and would net you nearly 20¢/point! Earn ThankYou Rewards with your Citi ThankYou Premier Card or Citi Prestige Card and transfer them to Etihad Guest Miles at a 1:1 ratio. Note that it can take up to 7 business days for Citi ThankYou points to transfer to Etihad, so you’ll need to be a little more prepared here. Bottom Line: Etihad Guest Miles provide a nearly unbeatable way of booking American Airlines flights to Hong Kong. Unless you’re sitting on a pile of Marriott points, you’re going to get better value from Etihad Guest Miles. The ease of earning transferrable points along with the amazing value could get you a nearly 20¢/point! Yet another alternative way to book Cathay Pacific first class: use 220,000 AA miles round-trip to enjoy Krug and massage chairs in the sky. Image courtesy of Alex Miller. AA offers 2 advantages (pun intended): Ease of earning airline miles and simplicity of booking awards. With that being said, you can either fly American Airlines or Cathay Pacific to Hong Kong thanks to the Oneworld alliance. As mentioned above, here are the airports that Cathay Pacific services. American Airlines offers daily nonstop flights to Hong Kong from Los Angeles (LAX) and Dallas-Fort Worth (DFW). Hot Tip: You always want to book Cathay Pacific over American if the cost is the same. Additionally, Cathay Pacific has way more airports to fly out of. Both airlines will cost the same number of points and fees. The good thing is that using AA miles means that you won’t be on the hook for fuel surcharges (with the exception of British Airways and Iberia). This will keep your fees to a minimum. You’re going to pay more miles, but you won’t be charged much in fees. Hot Tip: AA Miles are extremely easy to earn. It seems like Citi just hands miles out like candy through their co-branded credit cards and “mailers” (mailed invitations to apply for their credit cards that bypass the 24-month restriction). Also, Barclays has easy-to-meet spending requirements of 1 transaction to get 40,000-60,000 miles! Need help booking? See our step-by-step guide for booking American Airlines business class or booking Cathay Pacific first class. The process for booking American Airlines first class is pretty much the same as business class, only the award availability will be more sparse. As mentioned above, AAdvantage Miles are easy to stockpile, especially in the short term. First, you can apply for the Barclays Aviator Red Card, since Barclays is more “sensitive” to hard inquiries and newly opened accounts than Citi. If possible, apply for the Barclays Aviator Red Business card after that. Using Citi’s AA cards are also a great way to earn hundreds of thousands of miles, if not more. If you’re short on AA miles, you can top it off with Marriott points, but it wouldn’t be the best use of them. Keep in mind that it can take up to 2 business days to transfer Marriott points to American Airlines. Bottom Line: American Airlines’ AAdvantage program is easy to understand. This program is useful because it’s not hard to earn miles through co-branded credit card bonuses. The program is also very easy to use and you can book everything online! The drawback of AA is that your miles won’t get you as far as Etihad or Alaska. 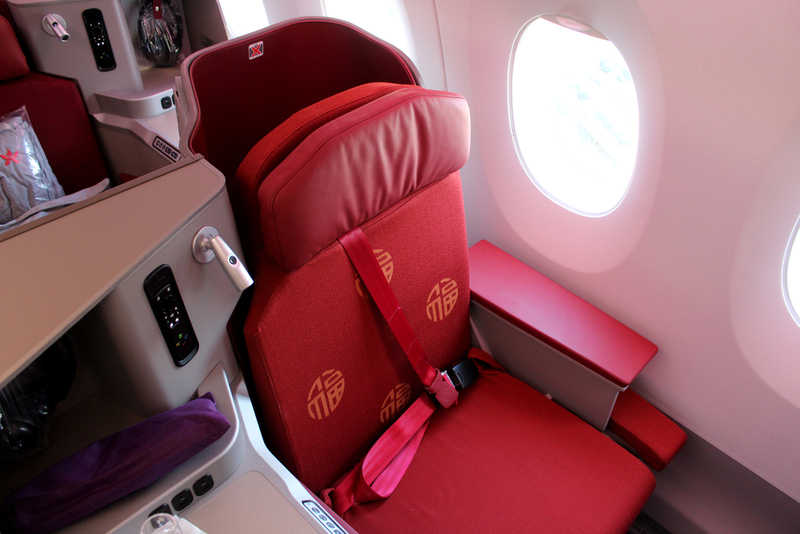 A lie-flat seat with direct aisle access to keep you comfortable in business class. Image courtesy of aa.com. Japan Airlines is similar to Cathay Pacific, in that they have a distance-based award chart with excellent routing rules. If you combine these 2 and spend enough time planning itineraries and routes, you can get some serious value! Since it’s a Oneworld partner, you can use Japan Airlines Mileage Bank to book Cathay Pacific and American Airlines flights. Hot Tip: It is extremely important to note that this is at the bottom of the list for Oneworld partners for 2 reasons only: opportunity cost of miles and difficulty of earning these points. I want to start off by clearing up any confusion: Japan Airlines Mileage Bank is an excellent rewards program, but not for these routes/flights. You can get some serious value out of these points elsewhere. Furthermore, it’s very difficult to earn these points, as they are only transfer partners with Marriott. Their co-branded U.S. credit card is a niche option that lacks the kind of bonus categories that increase earnings on other cards. It’s best to save them for other redemptions, such as booking their own first class! Still, it is a possibility. Hot Tip: Japan Airlines’ award routing rules allow up to 7 stopovers! I would not recommend using Japan Airlines miles to book Hong Kong routes due to the relatively poor redemption value and opportunity costs. Instead, you can use their miles for multi-segmented routes that can exceed $100,000 in value. Nevertheless, let’s discuss Japan Airlines here. The following is a summary of the routing rules on Japan Airlines partners. Award tickets on partner airlines are distance-based according to this chart. A routing with a combination of Japan Airlines and a partner airline utilizes the partner award chart. Itinerary via “Point of origin” is not permitted. Itinerary via “Country of origin” is not permitted. When different classes of service are involved in 1 round-trip journey, the required mileage for the higher class will apply. A maximum of 6 sectors excluding surface sector will be permitted in whole itinerary. 1 surface (open-jaw) sector is permitted in the whole itinerary. For each award, a maximum of 3 stopovers (a stay of more than 24 hours or surface sector) is permitted in the whole itinerary. 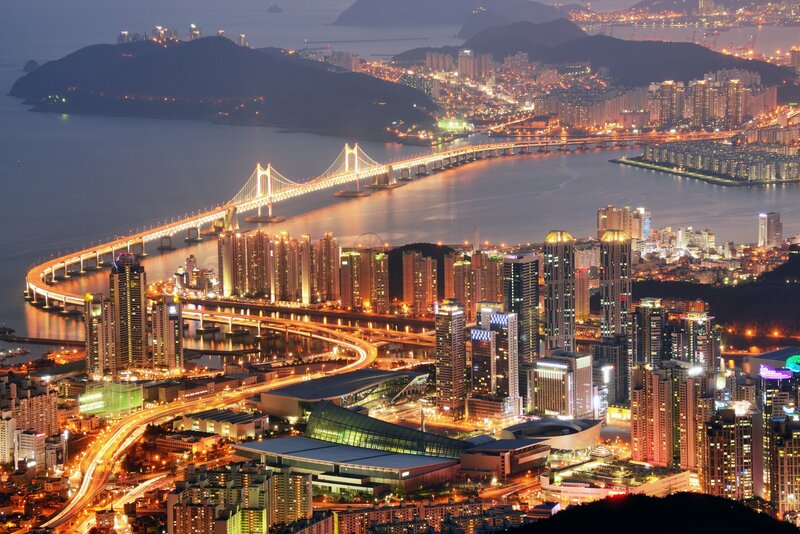 “One city” can be included 3 times at the maximum for the whole itinerary, however, stopover at “one city” is permitted only once in the whole itinerary. A surface sector is counted to be “one stopover” regardless of the sojourn time. Flying round-trip on American Airlines’ Los Angeles or Dallas-Fort Worth route will run you 70,000 miles in economy, 130,000 miles in business, and 190,000 miles in first. If you fly from Seattle, San Francisco, or Vancouver, you could fly round-trip economy for 55,000, business for 110,000, and first for 165,000. When you select your flights, make sure there is availability, since Japan Airlines will also list flights you can be waitlisted for. You can earn Marriott points and transfer those to JAL at a transfer rate of 3:1. Plus, for every 60,000 Marriott points that you transfer, you’ll receive an extra 5,000 JAL miles bonus. Bottom Line:Unless you have a huge stockpile of Marriott points, I probably wouldn’t suggest using this method to book flights to Hong Kong. If you wanted to fly American Airlines, you can utilize the Etihad Guest Miles method above. If you wanted to fly Cathay Pacific (as you should), you can utilize the Alaska Airlines miles method above. Using United MileagePlus miles will allow you to try Air Canada’s flagship business class and lounge almost for free! Image courtesy of PaxEx.com. Since Cathay Pacific (a Hong Kong-based flagship airline) is in the Oneworld alliance, it makes sense that they generally have the best routing and redemption rates. That is why we have been focusing on Oneworld, with the exception of ANA — ANA simply has redemptions we can’t pass up. Now let’s move onto Aeroplan, the loyalty program associated with Air Canada. The award redemption rates are the same across all 3 airlines, but the fees may differ. Here’s the award chart for Aeroplan redemptions to Hong Kong. Aeroplan does not pass on fuel surcharges for United Airlines and Cathay Pacific, so you should probably focus on these 2 airlines to reduce your out-of-pocket cost. Once again, you can reference the charts in the above subsections to determine which airports each airline flies out of. We recommend searching for award availability on Aeroplan or ANA. Aeroplan is less accurate but easier to use than ANA, but both are much more accurate than United’s search engine. Aeroplan is a transfer partner with American Express Membership Rewards. Amex points transfer to Aeroplan at a 1:1 ratio. Amex has a number of personal and business cards that earn Membership Rewards points to choose from, making it easy to accumulate the necessary points. Bottom Line: If you’re using Aeroplan, I would personally just use my geographic location as the driving force. If flying out of Canada, fly either Cathay Pacific or Air Canada. If flying out of the United States, fly either Cathay Pacific or United Airlines. Although ANA’s redemption rates are superior in all booking classes, Aeroplan is still an option. Although not yet available on Hong Kong routes, United Polaris business class is a great way to relax and unwind in the sky. Watch for Polaris class on the San Francisco to Hong Kong route. Image courtesy of ua.com. With Aeroplan being our second go-to option behind ANA (particularly for Star Alliance redemptions), we now arrive at United Airlines as our third-preferred frequent flyer program. The pros and cons are simple here: the main advantage is the ease of booking and lower fuel surcharges, while the disadvantage is high award costs. You can book travel on United Airlines or Air Canada with United Airlines MileagePlus. Star Alliance partner awards are more expensive. As you can see, there’s a huge difference in pricing between business and first class. Furthermore, it will cost significantly more points. However, your out-of-pocket costs are at an absolute minimum here. Hot Tip: When using United Airlines’ search engine for awards, be sure to use the award calendar. You can book awards completely online using United Airlines. Here are the best ways to fly to Hong Kong on United Airlines. Let’s start with earning United miles — you have a few credit card options that will allow you to earn United miles directly. You can earn Chase Ultimate Rewards that can then be transferred to United. In many cases, these cards will be the fastest way to earn lots of United miles. Bottom Line: United Airlines offers a super-easy, completely online method of booking business class. Though the award prices are higher, you’re virtually paying nothing out of pocket and it’s easy to earn miles. 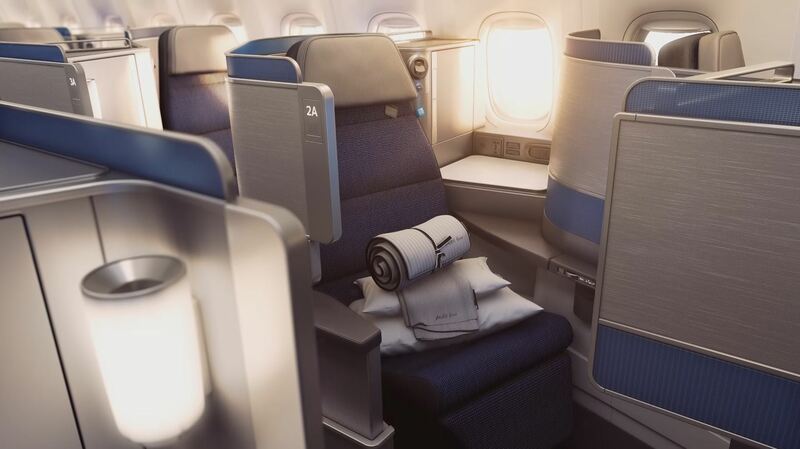 Partner awards are much more expensive, but they may be worth it unless you’re flying United Polaris business class (only offered on the SFO-HKG) route. Singapore Airlines keeps it very simple when it comes to Hong Kong: you can only fly premium cabins on Singapore Airlines if you book through their Krisflyer program. Furthermore, there’s currently only 1 airport that services the fifth freedom Hong Kong route aboard Singapore Airlines: San Francisco (SFO). The San Francisco – Hong Kong route flies the B77W, not the A380. While you will not get the Singapore suites on this route anymore, you’ll still get a very nice inflight experience aboard one of the most well-known airlines out there. The only redemption that is worth seriously considering is on its own flights, but the good news is you won’t pay any surcharges. See below for the award chart for the SFO-HKG route. As you can see, there’s a very little difference in the pricing of business and first class. If you had lots of KrisFlyer miles, I would recommend flying first class to experience it on Singapore Airlines. The poorest value of Krisflyer miles would be to use them for partner bookings. In this case, you can fly either United Airlines or Air Canada, thanks to the Star Alliance. For round-trip bookings, Krisflyer will run you 96,000 miles for economy, 230,000 miles for business, and 280,000 miles for first. Hot Tip: When possible, be sure to use Singapore Airlines’ “Book the Cook” option, which allows you to select from a wide variety of meals in advance! Krisflyer miles are actually the easiest to earn among all the miles discussed in this guide. They are transfer partners of Chase Ultimate Rewards, American Express Membership Rewards, and Citi ThankYou Points! Without a doubt, using credit cards that earn points you can transfer to your KrisFlyer account is the quickest and easiest way to earn tons of Singapore miles. Chase is a KrisFlyer partner, which means you can earn reward points (fast) with your Chase Ultimate Rewards credit cards and transfer them to KrisFlyer miles. Get 1,000 KrisFlyer miles for every 1,000 Chase Ultimate Rewards points you transfer (in increments of 1,000). The great thing also about Chase Ultimate Rewards is that you can combine points from multiple cards if you have at least 1 premium (paid) card. If you are thinking about getting an American Express card that earns Membership Rewards, you can transfer them to Singapore Airlines as well. Don’t have Ultimate Rewards points to transfer, or just want to add even more reward points to your KrisFlyer account? American Express Membership Rewards is also a transfer partner! Rack up Membership Rewards points with the following American Express credit cards and move them over to KrisFlyer at a 1:1 ratio. Do you have a Citi ThankYou Rewards account? If not, you might want to open one. Earn ThankYou Points through using any of their credit cards, and then transfer those reward points to the Singapore Airlines KrisFlyer program. Every 1,000 ThankYou Points equals 1,000 KrisFlyer miles! If you regularly stay at Marriott hotels, then you might also find transfer value with their hotel points. Bottom Line: Singapore KrisFlyer has great redemptions in the SFO-HKG route, but not much else. You can earn miles through any of the 4 transferable programs. This is also the only way to fly Singapore Airlines from North America to Hong Kong in business/first class. 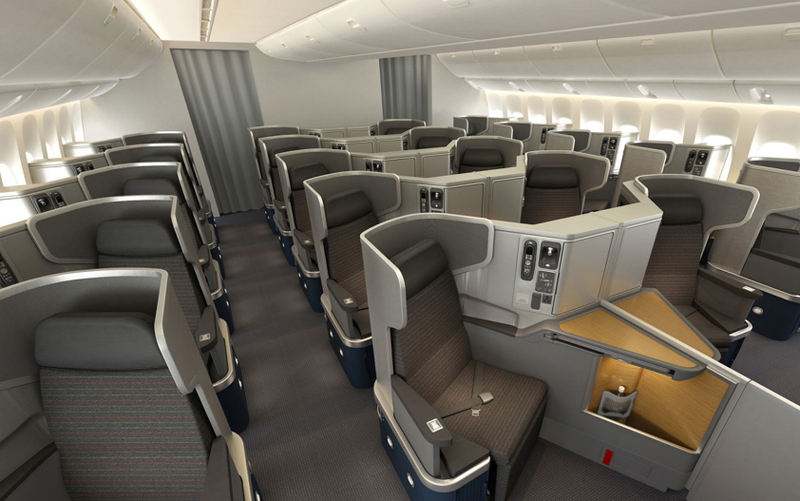 United Airlines is preparing to launch a revamped cabin on Hong Kong routes. Image courtesy of view.ceros.com/united/polaris-business-class/p/1. Again, Lufthansa’s Miles and More Program is only useful in this case for booking Star Alliance flights. Lufthansa’s Miles & More is similar to Alaska Airlines, where you can only earn the miles with Marriott or their co-branded credit card. Lufthansa’s co-branded Miles and More MasterCard is offered by Barclays. With Lufthansa Miles and More, you will be able to book on Air Canada and United Airlines. Lufthansa also passes on fuel surcharges, so you’ll be responsible for that. Technically speaking, Lufthansa requires the second-fewest miles for Star Alliance redemptions, behind only ANA. But miles are difficult to come by and fuel surcharges are high, which is why the Miles and More program is ranked so low on this list. 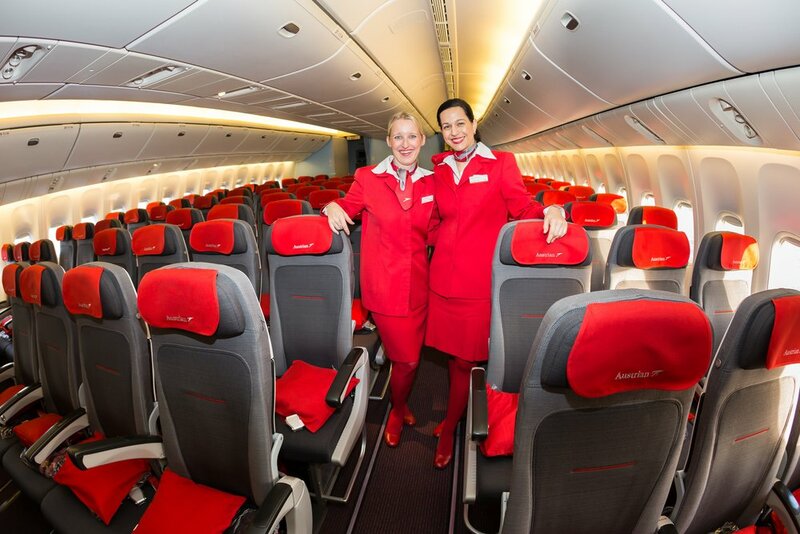 Hot Tip:You will want to search close-in for award space in a premium cabin. Based on a recent search, I did not find availability 10-11 months out in the calendar. Need help booking an award ticket? See our step-by-step guide for booking United Airlines business class. You can earn Miles & More miles by applying for their Barclays co-branded card. If you regularly stay at Marriott hotels, you might also find transfer value with their hotel points. There aren’t many other ways to snag lots of Lufthansa miles besides sign-up bonuses on credit cards. For more information, check out the best ways to earn lots of Lufthansa miles. Bottom Line: Lufthansa business class awards on partners are a sweet spot at 135,000 points round-trip. However, because the miles are so difficult to earn and Lufthansa passes on fuel surcharges, we would suggest looking toward ANA for the equivalent routes. 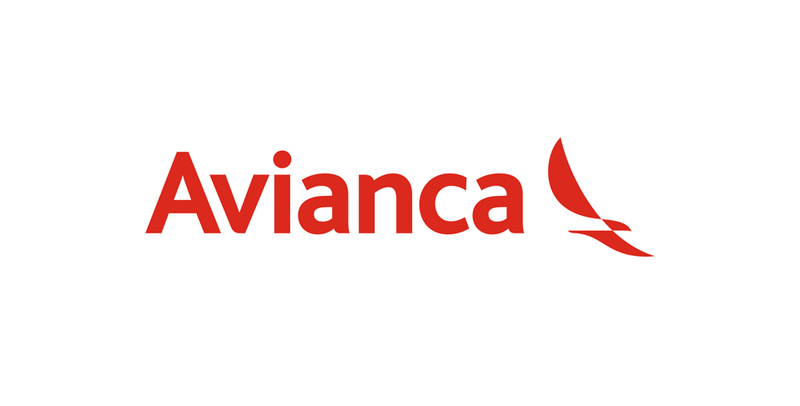 Avianca Vuela LifeMiles is an often overlooked frequent flyer program. Image courtesy of Avianca.com. Similar to Lufthansa, you can only book Air Canada and United Airlines flights with Avianca Vuela LifeMiles through the Star Alliance. If you actually look at the award chart, you’ll find out that the business class cost with LifeMiles is the same and the economy class is 5,000 points cheaper than Air Canada. If the cost is either the same or lower, why is LifeMiles ranked so low? One answer: transfer partners. You can only earn these miles through Citi ThankYou cards, their co-branded credit card, and Marriott transfers. It is typically extremely difficult to earn substantial ThankYou points from Citi through sign-up bonuses due to their 24-month restriction. On top of this, “mailers” are never issued for ThankYou Points-earning cards. One advantage, however, is that you can purchase LifeMiles! Often it’s easier to just buy the miles and book with them. This method, however, does involve spending more than $1,000 on miles, so I would not suggest it unless you have a specific redemption in mind. Another advantage is that if you are planning to fly first class to other parts of Asia, you might be better off using LifeMiles over Aeroplan because you will save 30,000 miles round-trip! Here’s the award chart for the flights we’re looking at. Hot Tip: Worth noticing: LifeMiles does not pass on any fuel surcharges, which is a huge advantage! If you’ve decided on flying Air Canada’s quality business class product, here are some of the best ways to fly Air Canada business class besides Avianca Vuela LifeMiles. LifeMiles is transfer partners with Citi ThankYou Points. You can also earn LifeMiles miles by applying for the Banco Popular co-branded card. There aren’t many other ways to snag lots of LifeMiles besides sign-up bonuses on credit cards. If you regularly stay at Marriott hotels, then you could possibly find transfer value with their hotel points. The last resort would be to purchase LifeMiles. They have periodic sales providing up to 150% bonus miles, so be sure to take advantage of that. Hong Kong Airlines is one of the newer airlines in terms of booking with points. They fly from Los Angeles (LAX), San Francisco (SFO), and Vancouver (YVR). You can fly round-trip economy for 65,000 points and business for 125,000 points. Hong Kong Airlines is transfer partners with Marriott. Note: In order to view availability for awards on Hong Kong Airlines, you need to have the sufficient points already. I know this was a lot to handle, but we’ve basically explored every valuable avenue of flying to Hong Kong from North America. Overall, there are plenty of ways to fly to Hong Kong on points and miles. Air Canada, Singapore Airlines, and United Airlines are Star Alliance partners, so I would look first at ANA Mileage Club for the most competitive redemption costs. 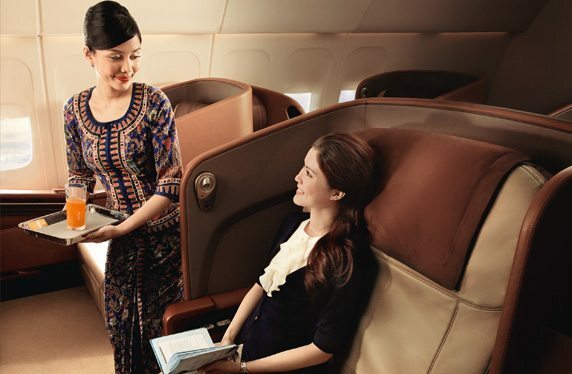 Unfortunately, Singapore Airlines premium cabin products can only be booked using their own miles, so that would be the only option for flying Singapore Airlines business or first class. American Airlines and Cathay Pacific are in the Oneworld alliance. 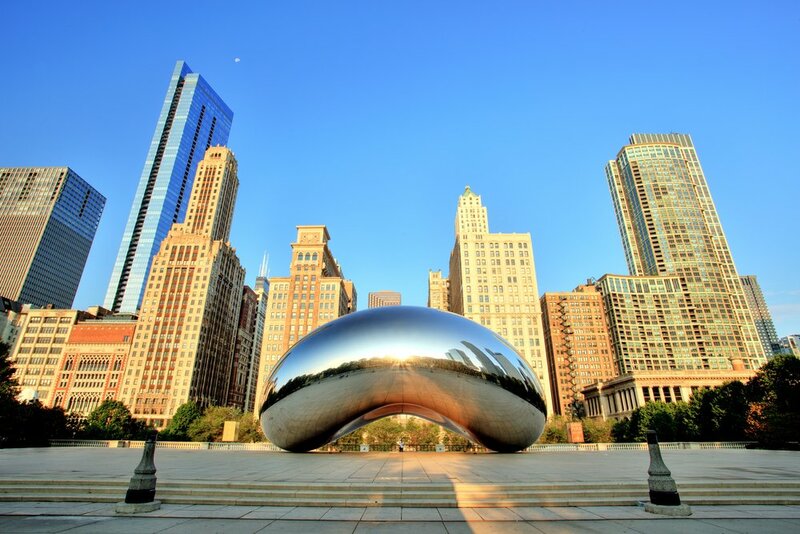 For booking American Airlines, look no further than Etihad Guest’s program offering first class and business class flights on American Airlines (for the same price)! Cathay Pacific is best booked with Alaska Airlines miles, but you can look at Japan Airlines, American Airlines, or Asia Miles for some great rates too. Hong Kong Airlines can only be booked using their own Fortune Wings Club points, which can be transferred from Marriott. There’s a lot of value and variety to be had when flying to Hong Kong. Now you’re able to get the full picture on the best ways to fly to Hong Kong on points and miles. Which airlines include carrier-imposed surcharges on award flights to Hong Kong? Air Canada imposes surcharges on its own award flights. ANA only imposes $68 each way on its flights. Lufthansa imposes all fuel surcharges. Cathay Pacific does not impose surcharges on AA/CX flights to Hong Kong. Japan Airlines imposes a surcharge of $43 each way. What is the fewest number of miles you can use to book an economy class award flight to Hong Kong? By referencing the charts in the Final Thoughts section, we can see that ANA offers round-trip economy class flights on its partners for 60,000 miles. What is the fewest number of miles required to fly business class to Hong Kong? ANA charges 95,000 for round-trip business class tickets. You can fly Air Canada or United. The runner up is Alaska Airlines at 100,000 for round-trip business class on Cathay Pacific. What is the fewest number miles required to fly first class to Hong Kong? You have three first class flight options when flying to Hong Kong: Cathay Pacific, American Airlines, and Singapore Airlines. Using Alaska miles on Cathay Pacific will cost 140,000 miles round-trip, using Etihad Guest Miles on American Airlines will cost 110,000 miles round-trip, and using Singapore Airlines Miles will cost 184,000 miles round-trip. FYI: Aeroplan miles can be redeemed for Cathay Pacific only on select routes between HKG and Thailand/Philippines/Malaysia and Vietnam. Currently, aeroplan miles are not useful to book award travel on Cathay Pacific flights between USA and HKG. Thanks for letting us know Peter. We appreciate it! Your award chart is out of date for UA. I hate when google publishes the update date and not the original post date. United has not changed their award chart in a long time, and these redemption numbers are the most updated and therefore not out-of-date. Thanks for reading! I tried booking a business class flight through United Mileageplus program, but the airline doesn’t show any United Business Saver seats or Air Canada Business seats available at all, through the next 9 months. I was working with an UA agent and she couldn’t find any. We’re going this route mainly because we have a lot of points on our Chase cards. Any suggestions? United is horrible with releasing award availability for business class routes overseas. We would advise you to keep looking, especially closer to departure as award seats can be released at any time.